The 2016 Toyota Avalon Hybrid is powered by a 2.5-liter four-cylinder engine paired with an electric motor that's fed by a trunk-mounted battery pack. Combined, the two power units are good for 200 hp. A continuously variable transmission (CVT) delivers power to the front wheels. 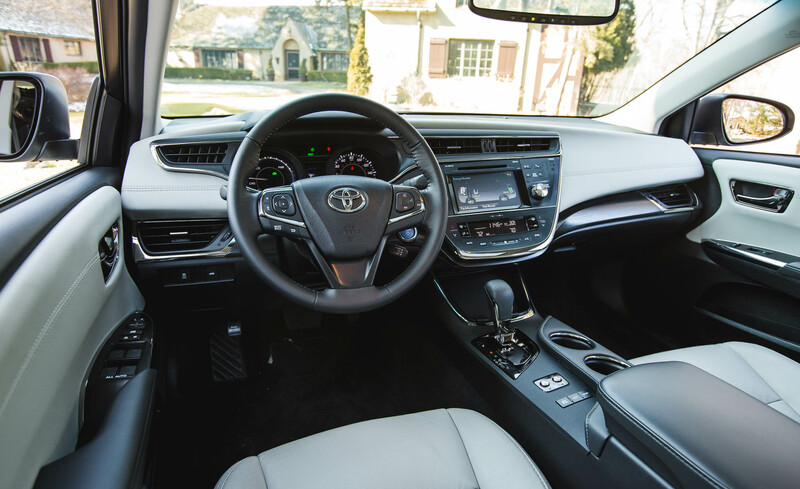 According to EPA estimates, the Avalon Hybrid returns 40 mpg in combined driving (40 city/39 highway). In Edmunds performance testing, an Avalon Hybrid Limited accelerated from zero to 60 mph in 7.7 seconds. This is about a second slower than the regular, V6-powered Avalon or most other conventional large sedans, but quite peppy for a hybrid sedan.